Maria del Carmen Arroyo is the incoming chair of the City Council’s Community Development Committee. She represents a South Bronx district. 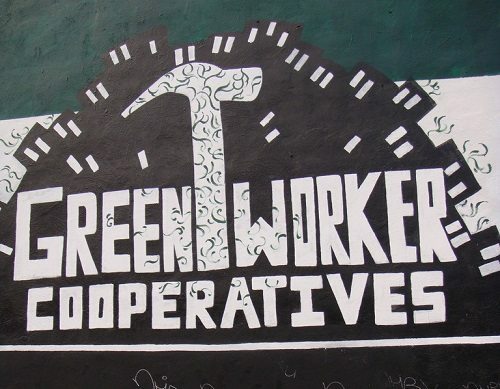 In the Bronx, there are already a number of worker-owned co-ops, and when Arroyo convened a hearing on co-ops in February, New Yorkers came out in force, perhaps reflecting not only a new interest, but a strong existing base of local working co-ops. According to the U.S. Federation of Worker Cooperatives, only around 300 worker-owned cooperatives exist in the United States, with an average of 11 workers each. New York city is home to 28 co-ops. Cooperative Home Care Associates, founded 29 years ago in the Bronx, is the largest of these and is 90 percent owned by women of color. It has a sophisticated operation that not only provides home healthcare workers, paying them twice the usual wage, but also trains other groups around the country, works on policy that will help co-ops get better rates in contracting, and has developed an entity that helps to funnel a steady stream of work to them.